I don’t get too hot and bothered by crime reports; and this year isn’t any different. But as I ate dinner tonight passively listening to the local news it struck me how great a place Boise really is! My wife and I just looked at each other and smiled when the news lady said the Boise Police Department reported… wait for it, a total of 3 murders in 2010. Now, 3 murders is horrible, make no mistake; but compared to Salt Lake City’s 14 and Portland’s 29, three is something to be proud about… or at least blog about. Even more important, if you look at the Boise crime statistics (linked at the bottom of the page) you can see most crimes have gone down from 2009 and ALL have gone done since 2006! One of the most striking statistics to me was there were 2,737 FEWER arrests in 2010 than in 2006. In other words, in 2010 the Boise Police Department made, on average, 7.6 fewer arrests A DAY for crimes committed than in 2006. You’d think 2006 was like living in Mad Max times or something. You can view the full report they released, Boise Crime Report. 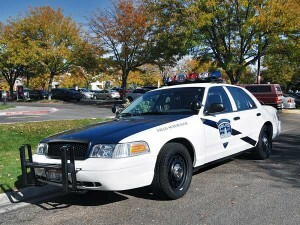 Also, if you are on The Twitters, like me, you can follow the Boise Police Department @BoisePD. Moving to Boise in a UHaul? Its a great picture Allen! Thanks!